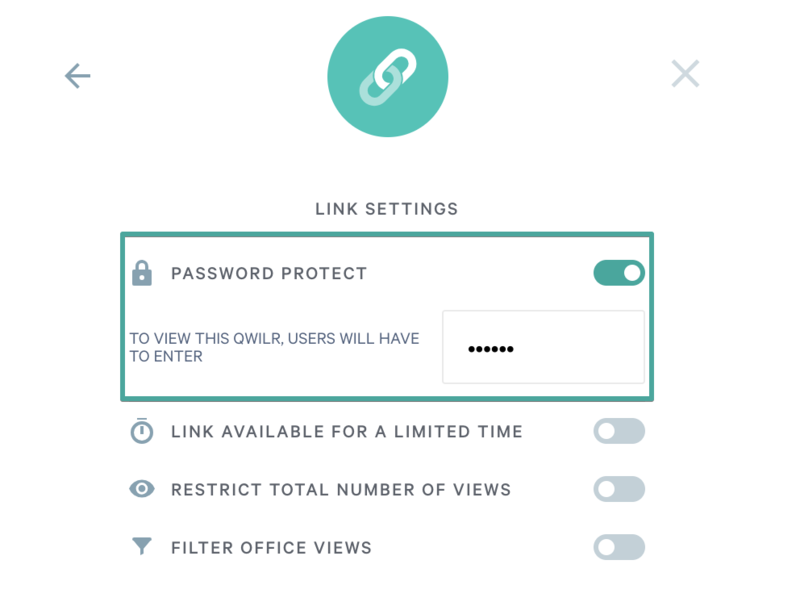 Within Qwilr you'll be able to add a password to your Qwilr Pages to add an extra layer of protection. Only people who know the password will be able to view your page. Note: This feature is only available on our Business or Enterprise plans. First, go to the security settings page. From there choose Password Protect. Type in your password and exit the screen. That password will now be needed to view your Qwilr Page going forward. If you need to edit the password, head back to that settings page and change the password in the field (you won't need to know the current password).